According to IBISworld, annual self-storage revenue was estimated to be $36 billion in 2016, and projected to rise to $37.5 billion in 2017. Below is the average national cost by storage unit size. Using our data we’ve found the average storage cost for more than 200 cities. Use the links below to find detailed storage data by state. The chart below shows construction spending by month, according to the U.S. census bureau. Figures are not adjusted for inflation. Number of self-storage facilities in the U.S. 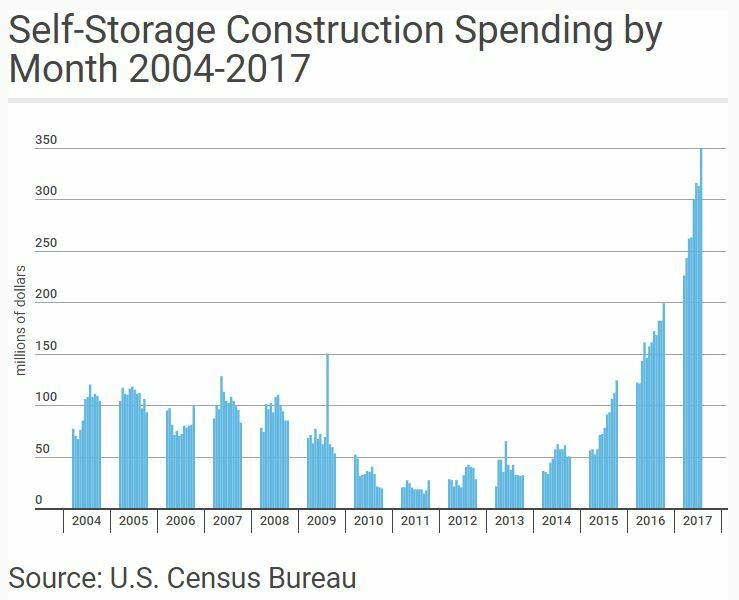 Amount of rentable self-storage space in the U.S. Amount of self-storage space per capita in the U.S.